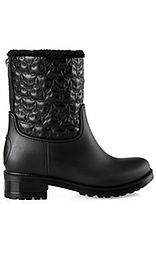 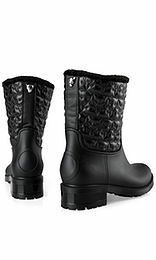 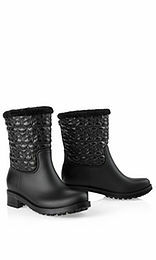 Striking boots made of a matt rubber material. The ankle boots are decorated with an exquisite Leo stitching on the shaft and have a round toe cap and a tread sole. 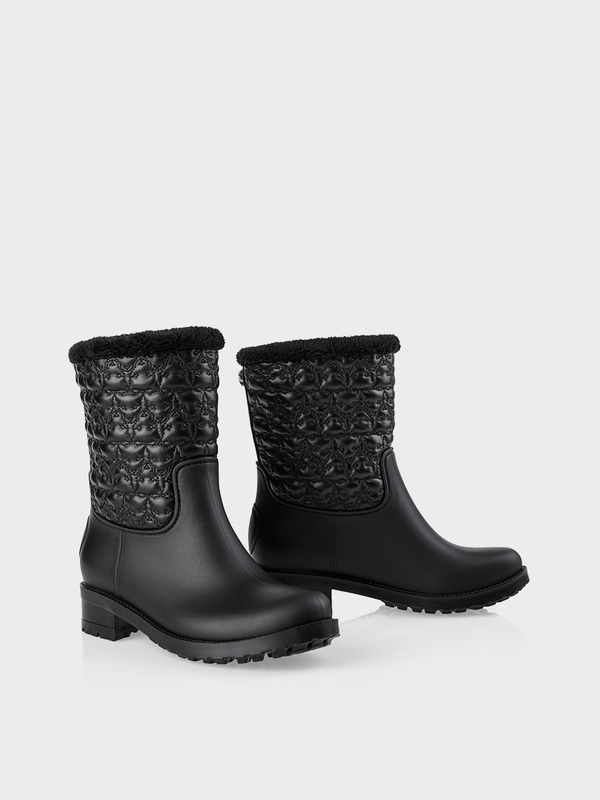 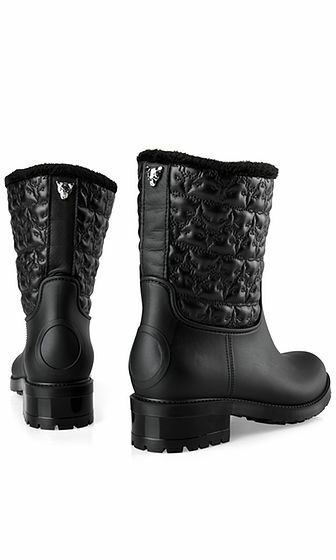 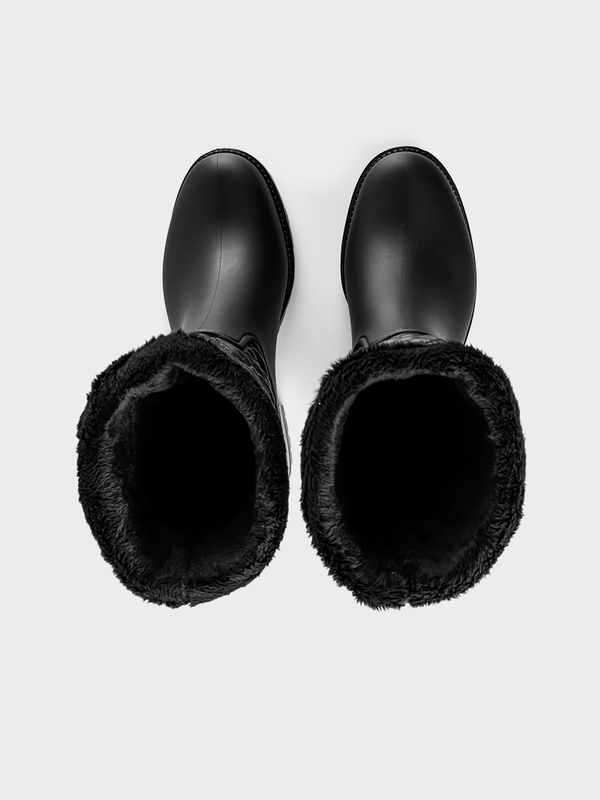 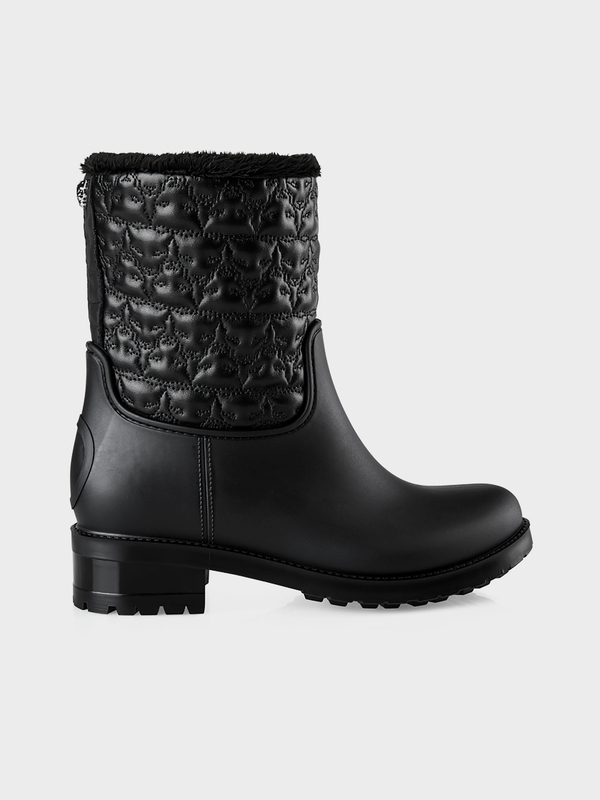 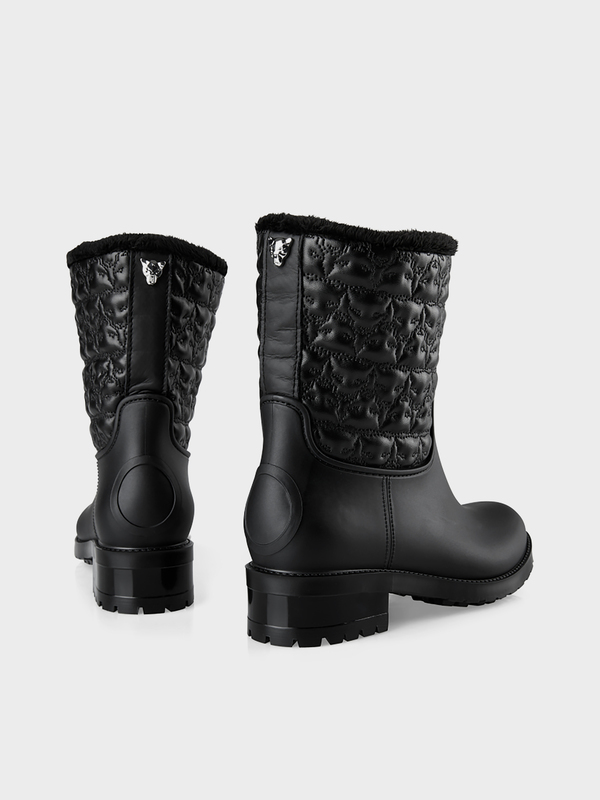 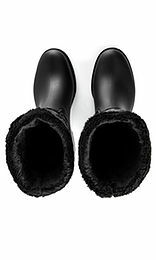 The fluffy lining ensures comfortable wear and keeps feet warm.